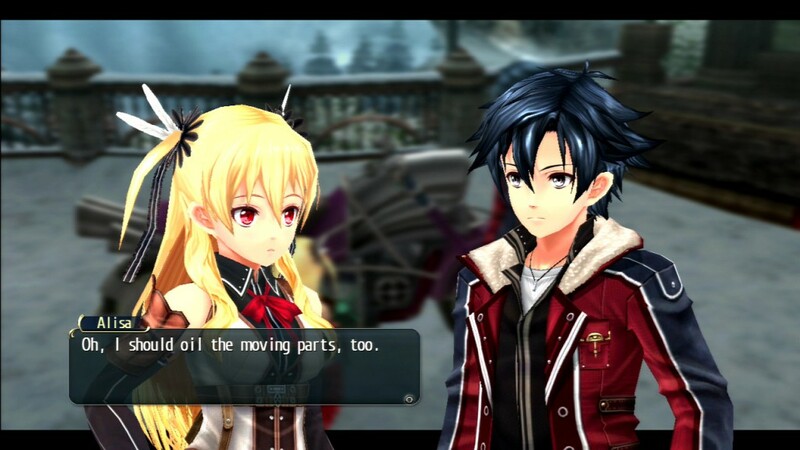 Nearly two years ago The Legend of Heroes: Trails of Cold Steel was finally localized for our gaming pleasure. For some this game might have come a bit too late, as it was still released on PlayStation 3, alongside of the failing PlayStation Vita. Nonetheless, we loved the game, and we couldn’t be happier that the second installment has also been localized to be released in the west. While still only being released on PS3 and PS Vita, we went for the more modern platform, namely the Vita, to see what this second part had to offer. Those who can’t decide on what platform they want this one, keep in mind that the game has cross-save features, thus you can easily switch between both previously mentioned platforms. Those who are still playing through the first game, be warned, this title is a direct continuation of said game, thus this story portion, which we’ll keep rather short, may contain spoilers. If you’re not planning to play the first installment, you’ll still be able to grasp what is going on thanks to the extra menu choice when you boot up the game, which allows you to read through all that has transpired in the original game, as well as many character bios. Rean Schwarzer has come a long way since he first enrolled into Thors Military Academy. While enjoying his time as a cadet, forging bonds with the rest of his classmates in Class VII, war spread across the lands, overthrowing the Imperial Army, losing more and more control to the Noble Alliance, which isn’t all that noble. The end of the first game resulted in Rean controlling one of the Divine Knights, but still losing a battle that could have shifted the war ever so slightly. A month has passed, and Rean has stayed in a comatose state ever since, until now that is. You’ll wake up rather confused, with not all of your memories intact. Luckily, you’re close to your hometown, Ymir, when you find yourself under attack by a mythical being. Your sister, princess Alfin and Toval come to your rescue, allowing you to get the much needed rest you have deserved. At home, you are happy to be reunited with your sister and your friends, but you are still worried about the fate of your classmates, who have become dear friends as well. Sadly, not that much time is left to ponder what has happened to them when Ymir is under attack by the Noble Alliance, gravely wounding your father and kidnapping your sister and princess Alfin. Even though you wish for nothing more than to return them home, when you hear that your Divine Knight knows the whereabouts of the rest of Class VII, who are scattered in three groups across the ‘world’, you decide to go and find them first, as you won’t be able to turn the tide of this war by yourself. 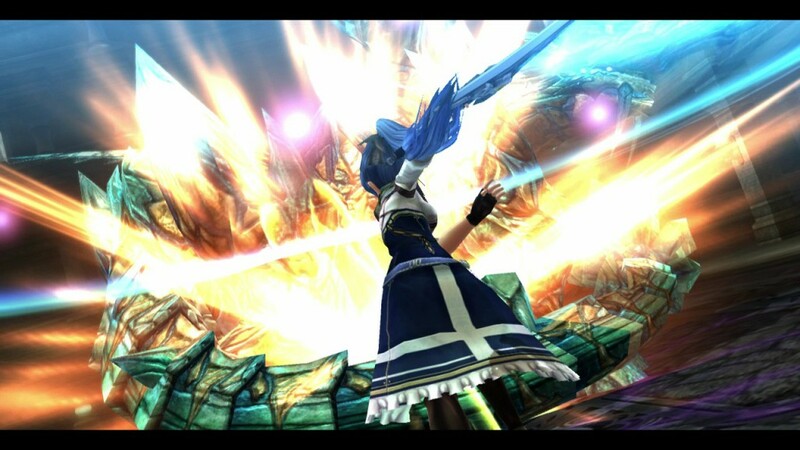 The story is presented by the use of many dialogues and cutscenes, while alternating with important battles. Overall there are no real spectacular methods used for presenting you with the story, but everything feels on point and well constructed. Keeping in mind this game is simultaneously released on PlayStation 3 and PlayStation’s Vita it looks good by the standards of the first mentioned console. We tried the Vita version and, even though it looked a bit dated, it was still very appealing. The characters themselves stand out, just like they did in the first game, and they are well animated and each of them has their own special traits and quirks which make them rather likeable in their own way. Sadly, once again, the environments feel a bit empty and probably more dated than all the rest of the game. The houses or other buildings that have some ‘life’ and clutter in them, actually look quite spiffy and it’s sad that the environments outside didn’t receive the same treatment. 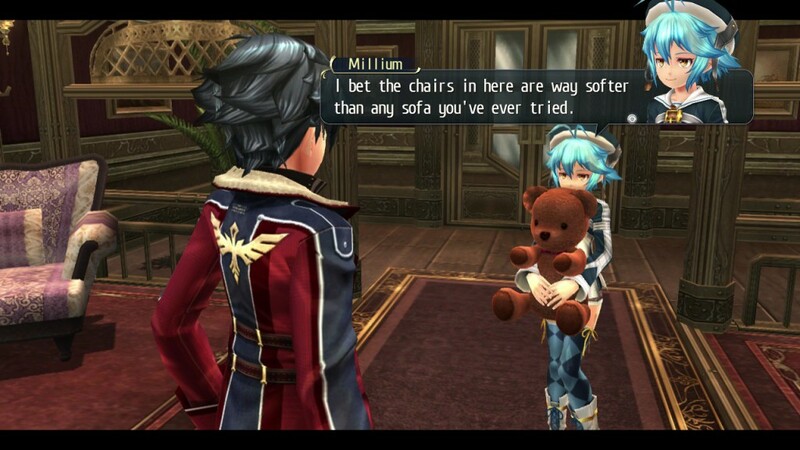 That being said, when everything comes together, Trails of Cold Steel II still looks rather decent, even by our current standards. Character models are decent, but again the facial features prove to be rather choppy, which isn’t a big problem, it’s just a bit too noticeable at times. The fun implementation of showing a character’s moving face in the dialogue window when its back is faced to the screen is still present, which might only be a small feature, it’s certainly a very amusing and appreciated one. This game however uses many of the maps from the first title, as you’ll have to plow through many sections you’ve already visited, for story purposes. While this isn’t really a big issue, it might feel a bit like this game is actually just one game the developers decided to split in half to gain more revenue. Music wise not much has changed in this iteration of Trails of Cold Steel as you’ll be treated to rather atmospheric music that suits every occasion. The music is cranked up a few notches in the midst of combat or zones where danger lurks behind every corner, while more melodic and soothing music will play when strolling through inhabited areas. Overall the music is diverse enough to remain interesting, but can become a bit repetitive when you remain in one area for longer periods of time. As expected, the voice acting has been properly taken care of and is just a delight for the most part of the game. Important sequences are fully voiced again, safe for the voice of Rean, and there are also many unvoiced conversations. Again the feeling of randomness reigns supreme, as some important characters do a lot of important conversations without voice acting, while other minor sequences get a bit of voice acting on the side. That being said, the game has a sturdy amount of scenes that are accompanied by a great cast, and it lifts up the game as a whole. 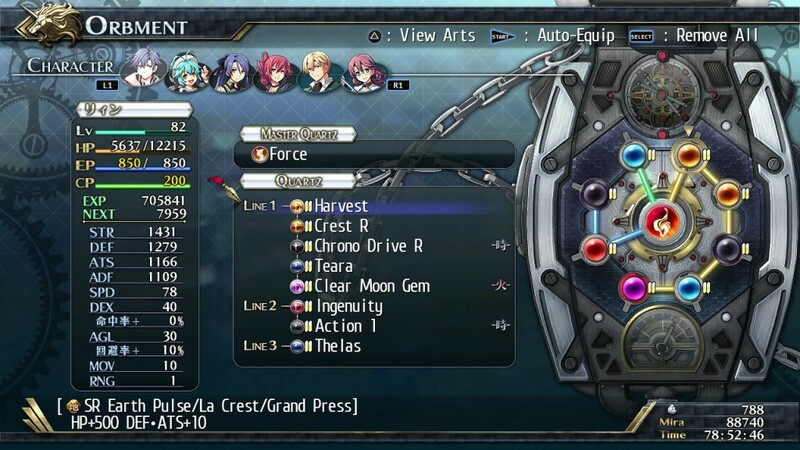 The Legend of Heroes: Trails of Cold Steel II is, just like its predecessor, a J-RPG that combines fairly old-school mechanics with its own unique quirks. You’ll have to wade through countless enemies, albeit without having to constantly grind to make any actual progress, while having enough story content on the side, as well as a few exploring and bonding options. From start to finish the game feels like a well knit together whole. As the game is rather heavy on story content, the game is divided in two clear portions, namely the parts where you roam around different areas, chatting with everyone in sight (if you so desire), and the segments where things are clearly combat oriented. If you’re a fan of the actual grinding and combat part of the game, you can skip a lot of conversations with the townsfolk or your allies and just stick to the main story portion or forced dialogues, but truth be told, you’d be missing out on quite a lot in this title. While you might start off in your hometown this time, it still feels a lot like the previous game, where you can enter houses rather freely, talk to everyone and sometimes you’ll get some extra missions and so on. In short, you can decide what to skip and what not, but compared to many other games in the genre, this one’s additional quests and conversations do add a lot of extra value. Combat has remained fairly unchanged in this second installment, which follows a rather old-school formula that’s easy to learn. You’ll see the monsters roam on the map, rather than random encounters, and thus you can either choose to engage or run past them. If you decide to engage, it’s quite important to either stun the monster by hitting it in the back, or at least prevent being caught off guard, as the team who initiates combat has the advantage. If you manage to pull off a stun in advance, you can attack multiple times in a row, before the enemy team can. When you’ve finally started actual combat, it’s turn-based all the way, where you can opt to do normal attacks, use Crafts (skills) or Arts (spells), with the last two mentioned using their respective mana pools. Pretty straightforward from here on out, as the game also marks how far your character can move per turn, in case you’re doubting to hit your foe close range, or use your turn to the fullest and use your Arts or Crafts. The only new addition to combat are the Divine Knights battles, which are pretty much the equivalent of Gundam battles of the Trails of Cold Steel universe. You’ll be fighting in a giant robot against other bigger enemies, which can’t be defeated with simple manmade weapons or spells, in the same turn-based format. The only difference seems to be that you can look for weak spots and hopefully target them properly. Your characters’ skills can be customized a tiny bit by equipping different Quartz in your ARCUS devices, granting you new sets of either active or passive skills. Your main Quartz also levels with you, or at least gets experience the more you use it, unlocking more abilities when leveling up. Overall the gear system proves to be rather simple, but complex enough to make it fun to mess around with. If you’re looking for more options, things will remain rather simple in terms of the normal gear, as weapons, accessories and normal armor seem to be the game’s only options. Like the previous game, forming bonds is a rather important part of the game, as working together will certainly aid you in combat as well. This system allows you to link characters to one another, and in turn, when certain conditions are met, your fighters will be able to pull off certain combos or special attacks, dealing more damage. Overdrive has also been added to the link portion of this title, which allows two partners to enter an ‘overdrive’ state, granting them attack bonuses for three consecutive turns. Some issues remain in this iteration, as some invisible walls are still present, longer loading times are still a concern and the overall controls can be a bit clunky at times. The latter proves to be no real problem, as you get used to this ‘dated’ format rather quickly. You can still save wherever you want, but again during longer cutscenes, you can’t save, and when gaming while travelling, the latter may prove to be annoying, as you can’t really turn off the game when you’d like. Even though many mobile RPG titles suffer from this issue, it’s still one that should be dealt with. 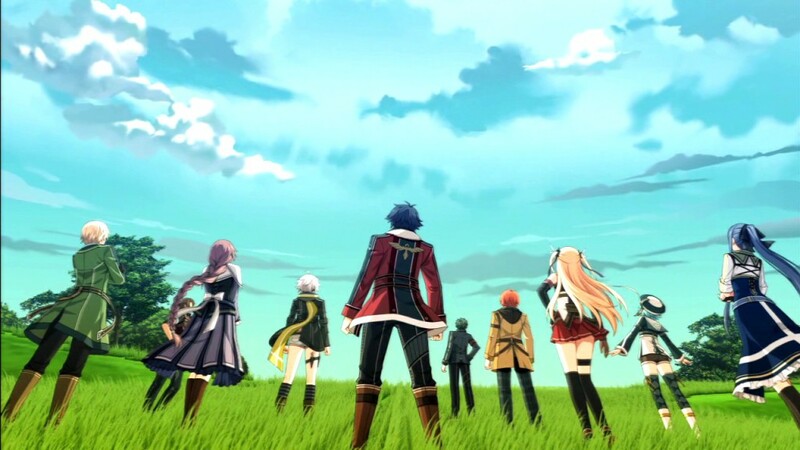 The Legend of Heroes: Trails of Cold Steel II will probably please fans of the first part the most, as it’s a direct sequel, but still does an effort to cater to those who never had the chance to play the first game. This title knows when to hit a sensitive nerve, while making sure the characters develop properly, adding a lot to the main story value. Even though some mechanics may be a bit old school, they prove to be solid, easy to learn and the original implementations make the battle system pleasant. Even though this game has already been out for quite some time in Japan, it was certainly worth the wait.